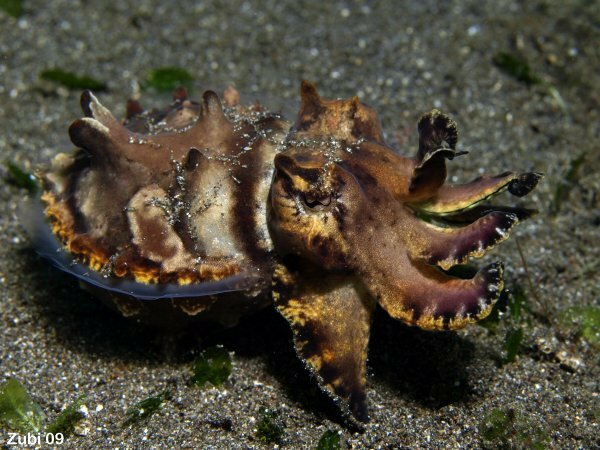 This cuttlefish is quite rare (seen it in Kapalai, Borneo, in Negros and Alona in the Philippines and in Lembeh). It is such an amazing animal! 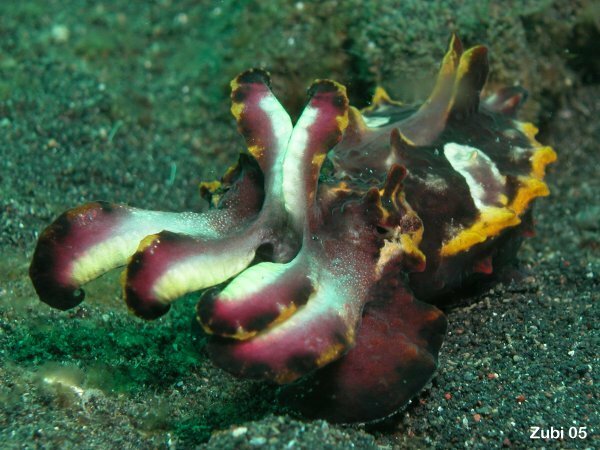 From its coloring and the way it moves it looks like a large nudibranch. It actually seems to walk on two of its larger tentacles. The stripes on its back pulse from white to yellow to brown and violet (thus the name in German which means blazing (flammend). It has a pair of thinner but longer tentacles that it uses to catch fish, mostly bottom dwelling gobies.